What great fun at Sector67 in Madison last night! I had a chance to make a presentation about food entrepreneurship with my new friend Page Buchanan, founder of of Madison's House of Brews. Sector67: Application. Free 2012 summer internships/memberships - 18 or younger. 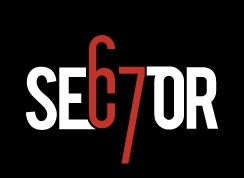 "Sector67 is happy to offer 2012 summer makerships to area youth (opportunity available to anyone 18 or younger)! A makership is a 4 month opportunity to use Sector67 with a free membership and $100 for project materials as well as a mentor to help you complete your project. We’ll be taking applications through June 18th, but early submission is encouraged so we’re able to find sponsors and mentors for projects"
Thank you Sector67 for creating opportunities for young and old. Forward! Sector67 in Madison.Thanks for the invitation, Chris and friends! House of Brews. "Fermentation may have been a greater discovery than fire". David Rains Wallace.